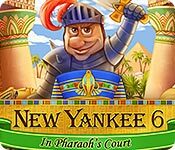 New Yankee in Pharaoh's Court 6 is rated 4.9 out of 5 by 21. Rated 5 out of 5 by katnap123 from My new favorite TM This was my first time playing a game from this series, and If the other games are as fun as #6 is then I have a lot of catching up to do. The challenge was perfect for me. I had to replay most levels a few times to figure out the best strategy, but the end goal was always in sight and achievable. There's a few TM games out now that are too challenging for me to be fun, and I had gotten used to playing on "easy" mode lately, but that can get boring quickly. New Yankee #6 was just challenging enough to be addicting. Rated 5 out of 5 by luverrly from Lots of fun This game is making me question my decision not to play TM games. They typically aren't my thing, but this game is lots of fun. Lots of fun the first time through... and the second, third time.. and as any times as it takes for me to get three stars on each level. The story line was fun and engaging. I think I may even go and buy the earlier versions of this series! Rated 5 out of 5 by kathydccrn from Love this game...wished it never ended! I bought this number 6 game in the New Yankee Series first and I couldn't stop playing. It was so much fun that I immediately bought game 2,3,4 and Santa's Service. I have to say I was disappointed in the graphics of the other games and got frustrated when I had to click several times every time I wanted to complete a move... but loved number 6 so I bought number 5 today and I love it as much as number 6. 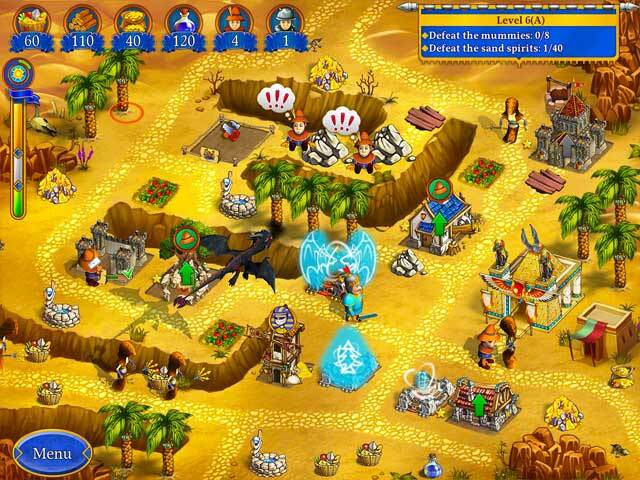 Rated 5 out of 5 by boptab from LOVE LOVE LOVE THIS GAME! Great time management game! 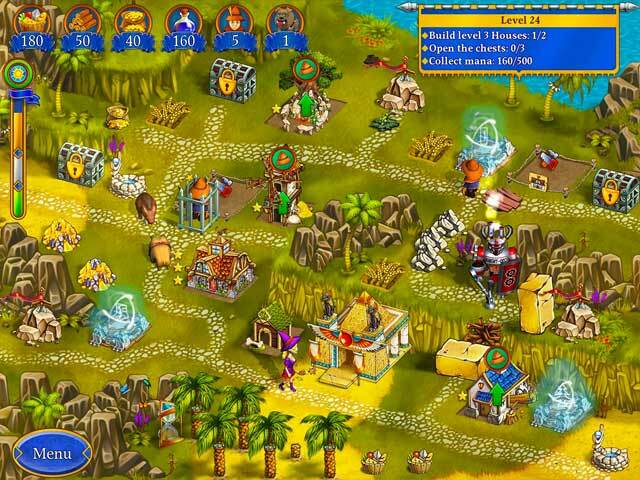 Some levels took several times to get the gold others one time only! Can't wait for the next one to be released. Rated 5 out of 5 by nancy3636 from Love New Yankee Games. One of the best! These are challenging and addictive. This version is great but my only complaint is I'm not big on the "conversation" at the beginning of each level, especially if it doesn't help me in the game. I just click through the story because I want to get on with the game. Otherwise, I can't wait for the next one to come out! 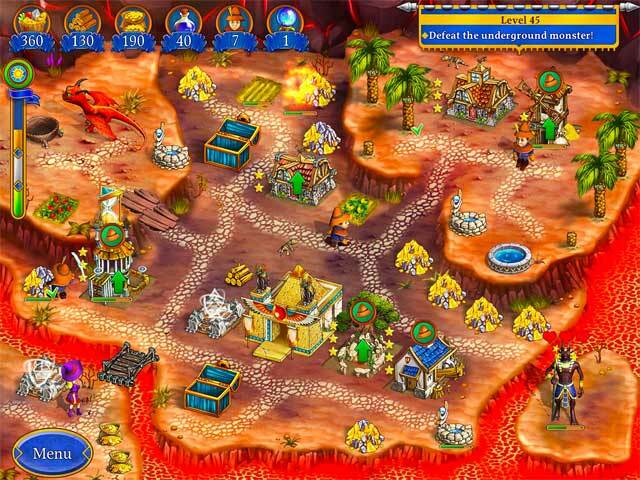 Rated 5 out of 5 by sharonatoo from One of my favorite series of TM games I love this series, but I miss not having the extra levels for getting gold on every level. It's a little too short. I didn't think it was too tough on normal. Will try the expert level now. Rated 5 out of 5 by grndpiano from Very Nice Addition! I really like the game. I really like all of the New Yankee series. Especially the ones with hidden map pieces. Somewhere I missed something because there's a trophy for using an hourglass and I can't figure out what that means. But for all the rest.....Awesome game! Rated 5 out of 5 by GhostWorks from A Great Installment I had a lot of fun playing. It has all the things that made the previous games so fun to play. The new elements add some fun new things to do and explore how they work. Like the previous two games I'll probably get the Extended Version if/when one is offered. Rated 5 out of 5 by pzmaybee from I've purchased them all and loved each of them. I'm not even sure what it is about this game series that keeps me coming back for more - the funny dialog between levels? the need for strategy in the later levels? The crazy characters? Whatever it is I'm at a point where I dont even try the demo. When a new one comes out I buy it right away. Haven't been disappointed yet!